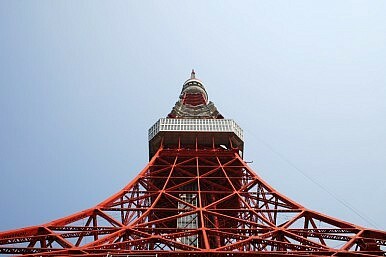 The race to host the 2020 Olympics is in full stride now with Tokyo still in the driver's seat. Along with rivals Istanbul and Madrid, the Japanese capital submitted its bid book to the International Olympic Committee (IOC) this week. The weighty tome explains the technical aspects of the bid in the smallest detail and how the respective cities plan to handle the logistical aspects of the Games – transport, venues, accommodations, security and a whole host of other considerations. Tokyo is looking good. According to British bookmaker William Hill, the city is the 4-6 favorite, with Istanbul at 5-2 and Madrid at 3-1. David Stevens, who works for Coral, another of the many British bookmakers, explained why: "Tokyo appears to have several advantages over its two rival cities – many of the potential venues are built, and after London and Rio, many will feel Asia deserves its turn to host the Olympics." These three are standing after three have been cut from the field. Rome dropped out following the decision from the Italian government not to offer financial support while Doha and Baku were forcibly removed by the IOC. There are still eight months to go until the decision is made by the IOC in Buenos Aires. While Madrid is suffering from the struggling Spanish economy and is offering something of an austerity games, the city did finish third in its bid for 2012 and second for 2016 and there could be a sympathy vote. Istanbul also has thrown its hat into the ring after unsuccessful attempts to host the 2000 and the three games after that. With a promise of a spectacular opening ceremony to take place on the Bosphorus, the river that divides Asia and Europe, Turkey offers a new and exciting region for the Olympic movement to target as the city’s bid leader, Hasan Arat said. "If the IOC awards the Games to Istanbul, in the morning you could watch the beach volleyball in Asia, in the afternoon the rugby in Europe and in the evening you can join a celebration across the continents on the banks of the Bosphorus. There is a unique opportunity for a compact, intercontinental concept." That is perhaps the biggest threat to Tokyo. Europe and South America took the 2012 and 2016 games but Beijing 2008 is still fresh in many minds. Another trip to East Asia may not be what some IOC members want especially as Tokyo has hosted the games before, back in 1964. Istanbul is an intriguing destination and if the IOC are feeling adventurous, it will be a dangerous rival. After all, Qatar overwhelmingly won the 2022 World Cup bid despite the United States and Australia being tipped to fight it out between themselves. Perhaps that is why the Tokyo team is presenting itself as a safe and reliable choice for the IOC in the field of an uncertain economic situation in Europe. Masato Mizuno, the CEO of Tokyo’s bid noted, "We have a long-term dream to host the Olympic Games, now in this situation we like to stress that Tokyo 2020 is a safe pair of hands, and much more, and we will bring together the dynamic innovation and the global inspiration in the heart of one of the most forward-thinking and exciting, safe cities." Tokyo Pushes Ahead for 2020 Olympics Tokyo's 2020 Olympic Dream Will the 2020 Olympics Really Help Tokyo?The Race is on for the 2024 Olympics"Liu Xiang is a Warrior"